Last week, Mark Zuckerberg, Facebook co-founder and CEO testified on Capitol Hill before the House Energy and Commerce Committee due to the Cambridge Analytica data scandal. The scandal, which involves the collection of personal information of 87 million Facebook users, brought back to light the old “online privacy” discussion. 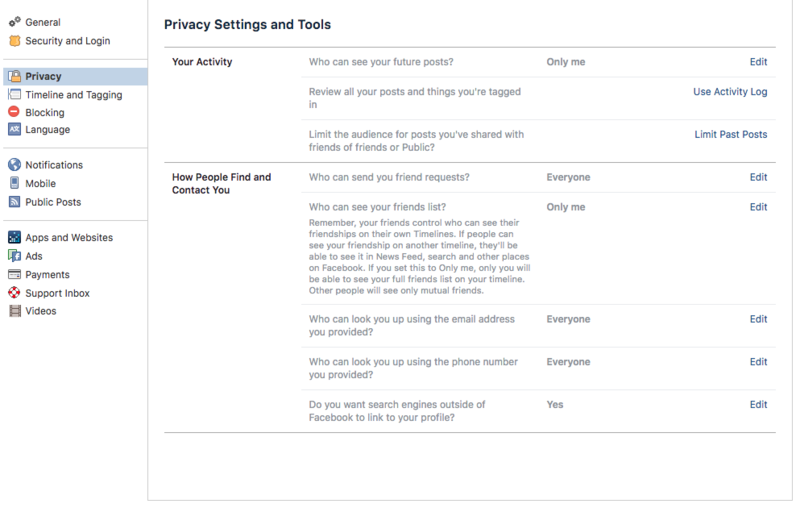 Facebook privacy settings have changed and are likely to change even more. Here is how you can set your Facebook privacy settings for live streaming, to make sure you are reaching just who you want to reach. One of the privacy issues discussed on Zuckerberg’s testimonial and around the world is what people can see on someone’s profile. How much information can someone gather when they access a person’s profile? Apart from Facebook’s terms, conditions and privacy terms, they also make it easier for users to choose who is allowed to see a specific post or content. For example, when you want to share a photo, you get many options. To see them, click on the “Who should see this?”, the section next to the “Post” button. First option is Public, which means anyone on or off Facebook can see your content. 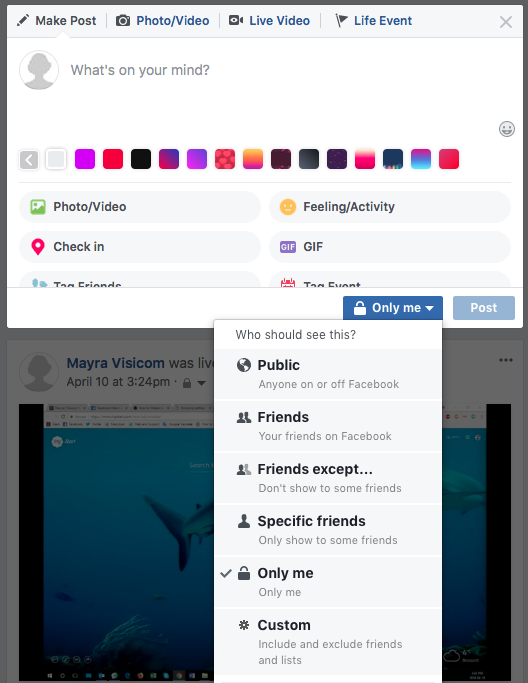 You can also select all your Friends, only specific friends or choose exceptions that will not see the post. More importantly, you can customize it and choose specific lists, while including and excluding friends. Also, if you want, you can choose to post privately. In this case, the publication will only be visible to yourself. The platform allows users to share content to their specific location too, which means only people around that area will be able to see it. Facebook will probably make more changes to these settings soon. For now, this how you can control who sees your content when posting. Within Facebook’s settings, you’ll find another few tweaks you can do to your account. Make sure you’re reaching who you want to reach and that you’re safe. Here is the link to access your Facebook Privacy Settings. 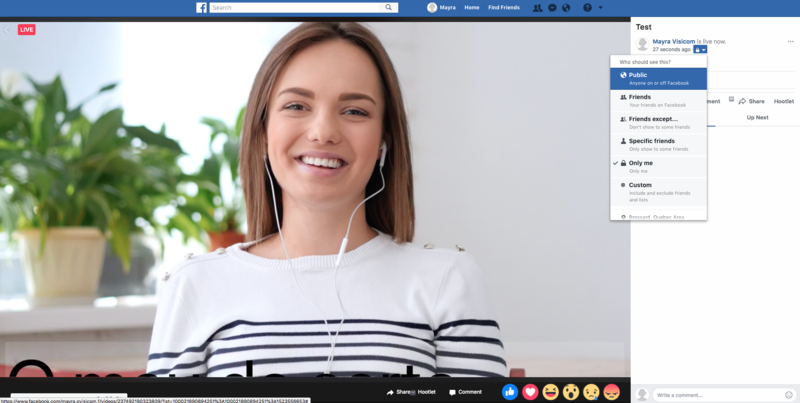 If you plan to go live on Facebook using another software or encoder, like ManyCam, you can still manage who will be able to view your live video. On ManyCam, when you choose to broadcast to Facebook, you can add a title and description to your live stream.You can also choose where it will be posted and the privacy settings. Soon they will be updated to match Facebook’s changes. The great thing about being able to choose the privacy setting on ManyCam first is the control you have over your live stream. For example, you can start your live stream on private mode (Only Me) and make sure everything is working correctly. Then, once you’re ready to go live, you can change it on the actual live stream on Facebook and take advantage of all the choices they give you. When it comes to live streaming, privacy plays a big role and it’s important to choose the right settings for you. Different types of live streaming videos will require different privacy settings. If your goal for going live is to reach a big audience and create shareable content, you’ll need to make it public. Which means, even people not linked to Facebook will be able to see your live stream. On the other hand, if your content is personal and focused on a specific group of followers, you can select them before going live. There are a lot of settings when it comes to live streaming on social media. Facebook privacy settings are an important part of it. If you go live without realizing you’ve set it to “Only Me”, no one will be able to see your live video. Every time you go live, chose the right privacy settings and you’ll be able to reach the people you want. 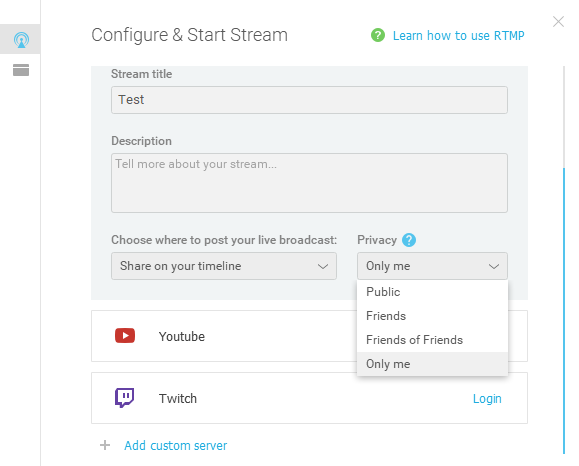 Just as importantly, you’ll be able to avoid sharing your live stream and content with those you don’t want to. YouTube Live vs. Facebook Live Comparison – Which is best for live streaming?